I got up really early this morning to drive Sarah to the airport. She lets me use her car to look for trash all the time, so it’s the least I can do (I also help pay for insurance and maintenance, for the record). I dropped her off at 4:30 AM and afterwards took advantage of the early morning / holiday traffic to look for some trash. 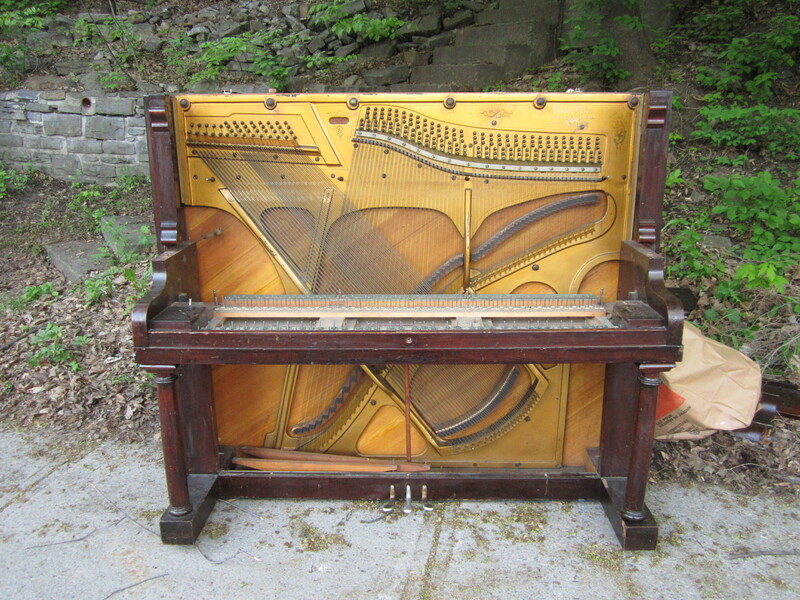 I explored St Henri, Shaunessey Village, and Outremont but didn’t find anything at all noteworthy outside of this piano, which was up the hill in Outremont. It’s looks pretty solid, and all the missing parts seem to be on the ground just behind the piano. It still sounds cool when you play with the strings. 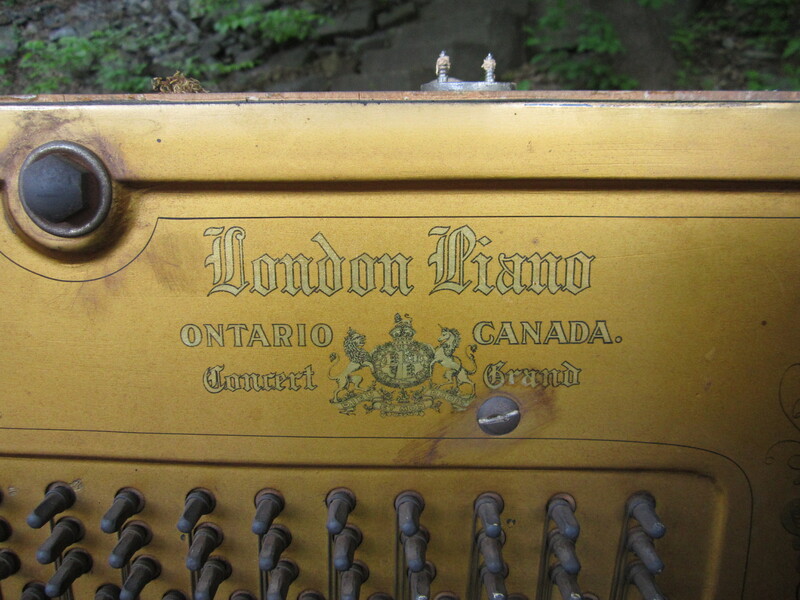 It was made by a London Piano in London, Ontario. 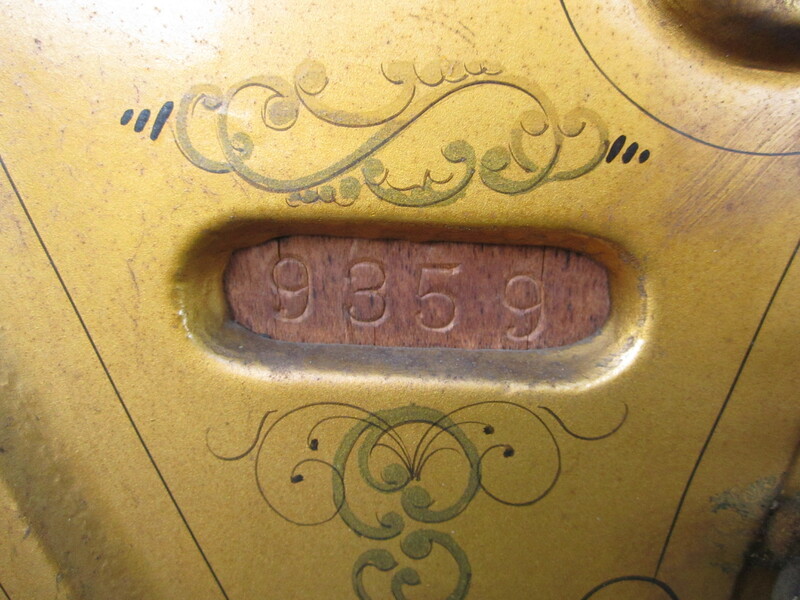 It claims to be a concert / grand piano, so it’s probably of decent quality. I have no idea how it got there. There are houses nearby, but this thing is heavy enough that it would have taken some serious effort to bring it even that far. There are special piano movers for a reason! It’s not trash day in that part of Outremont, and even if it was I’m not sure they’d be able to take this monster. The city might have to figure out some kind of special collection for it once they figure out it’s there. 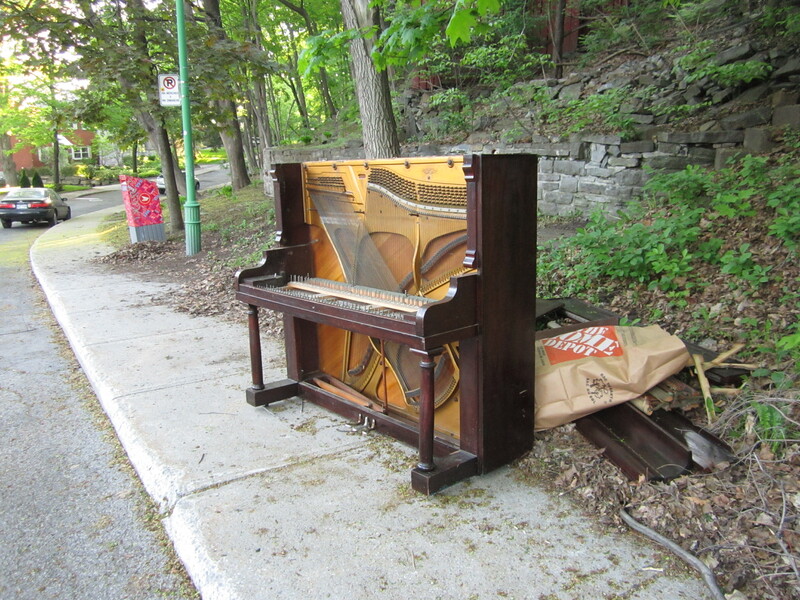 If anyone reading wants a project and somehow has the resources to move a piano, you can find it on Avenue Springgrove by Prince Philip. If anyone does take it, let me know! That poor piano has seen happier days. It’s interesting that their intricate insides are as much a thing of beauty as their polished wooden bodies. That said, there are lots of great things that can be done with old pianos. So if any of your readers are creative types (with friends to help move it), they can salvage this beauty and re-purpose her. and there are lots more ideas on Pinterest.